Princess Lilly and Prince Donatus will rise to the challenge again. 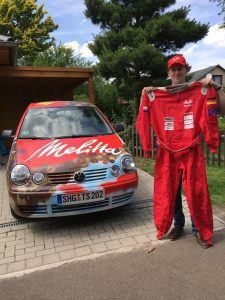 Competing in the Mongol Rally, the duo will be traversing half the globe in a Volkswagen polo to raise donations for charity. Dust, sand, emptiness. Three terms most familiar to veterans of the world´s greatest motor sporting adventure. The Mongol Rally, featuring cars with engines no larger than 1.2 litres and a sense of adventurism, has over 300 teams participating again as this year´s challenge kicks off in July. A unique duo will be amongst the crowd as Princess Marie-Louise (Lilly) zu Sayn-Wittgenstein-Berleburg and her son Prince Donatus zu Schaumburg-Lippe have taken the initiative to sign themselves up to this task as well. Strengthened only by iron will and set back by their lack of mechanical knowledge, the pair has decided to risk it all, once again for the good cause. 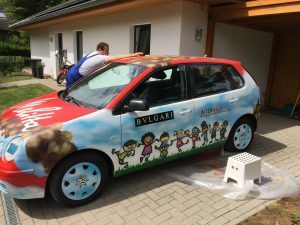 This year, two charitable organisations – Interhelp and Save the Children – will be equally supported by the donations involved with the Rally, ensuring the wellbeing of children in need throughout Europe and catastrophe regions worldwide. As a cause very dear to both mother and son, they hope to raise at least 20,000 Euros. Sponsors, amongst other Melitta, Bulgari, Fiamma, Glinicke and Revolugen have proven both financial and material support in delivering their assets to ensure a definitive success, and continue to make this a reality as the final weeks approach. 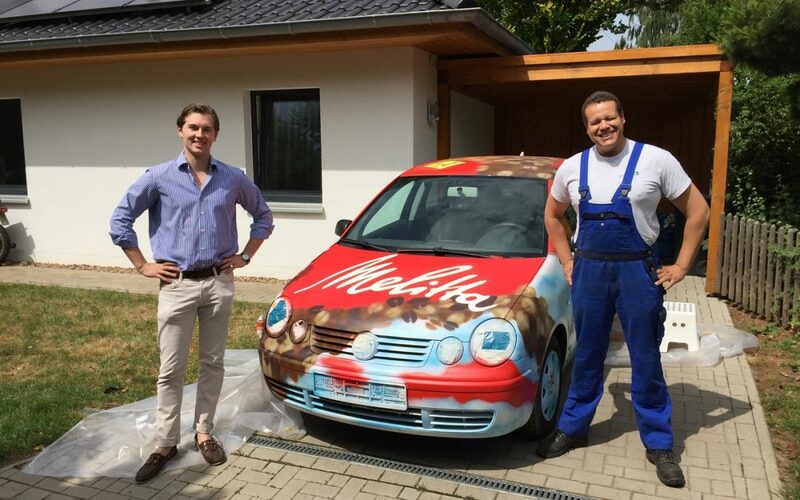 For it won´t be an easy task – confronted with a 2004 Volkswagen Polo, few skills in Russian and last-minute visa dilemmas the team, which has called itself “(Sub)titled,” will need to use all cross-cultural skills and abilities available to hustle their way along 14,000 kilometres. Whilst difficult, however, it remains a symbolic Journey as Team Subtitled will be tracing back the Balkan refugee route, visiting several camps and projects on their way to the euro-asiatic border. From there it is mostly unchartered territory– The Turkish, Iranian, Turkmen, Uzbeki, Kazhakstani and Mongolian wild is a stretch of few official roads, and often subject to vast isolation. Whilst on route the team will experience cultural differences, disputes, corruption, breakdowns yet most of all – the indescribable beauty of the far east. Daily Live updates via their facebook page (“Team Subtitled”) or their website (www.teamsubtitled.com) will ensure that fans do not stay uninformed for the duration of the 5-6 week journey. Preparation is key, and two-week mechanic, Russian, and first-aid courses goes hand in hand with upcoming press conferences, last-minute visa preparations and the endless search for donations and sponsorship. Team Subtitled will be holding a press conference on the 07th July, 2017 at the “Lillys Park Café” in Bückeburg at 1200, and a goodbye ceremony in front of Schloss Bückeburg upon leaving on the 17th July at 10:00. Are your hard earned donations spent correctly?